Ok, so you didn’t bag this bad boy in person. But you know you would if you could, so we did it for you. 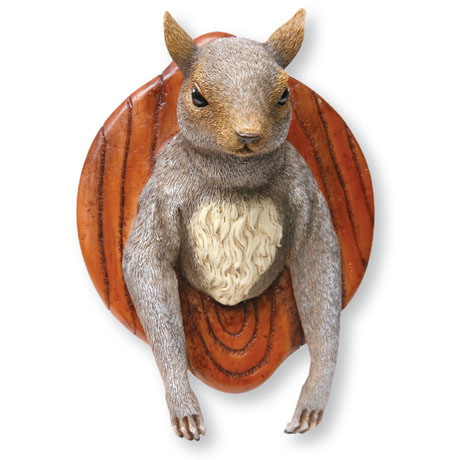 Perfectly cute and kitschy, this little acorn-hoarder is sculpted in super-realistic resin (no squirrels were harmed in the making of this trophy).